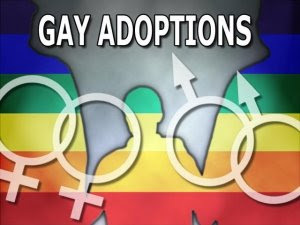 In November, 2008 a Miami Circuit Court judge ruled that Florida’s decades-old ban on gays and lesbians adopting children is unconstitutional. Read here the Time magazine's coverage of this landmark decision. Now, as attorneys prepare for the state’s appeal, the Florida Bar Association has decided to advocate for the pro-equality position. Nearly 80 percent of the association’s 52 board members took part in a vote last Friday to authorize an amicus brief in favor of the Miami court’s decision overturning the ban. Read here for full report on this vote. Perhaps my gay friends in Florida, who have been dying to change diapers, and tolerate screams at ungodly hours, will finally get this wish come true in this auspicious, "bullish" year (Year of the Ox). All of us, regardless of our sexual orientation, should have the right to give up our freedoms and raise children. If they are willing to make sacrifices, who am I to say, or you to say, they should be denied that right, a right that can in turn bestow the blessings of love upon unwanted children?